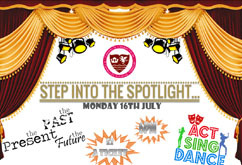 On Monday 16th July at 6pm in the School Hall the Year 12 Drama pupils will be hosting Step into the Spotlight which is a celebration of all aspects of the Performing Arts over the years. 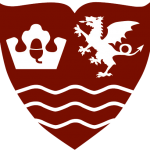 We have past pupils such Jordan King, Orlagh Zurawski, Shauna Birch and Deedee P.Graham returning to perform songs/scenes from Grease, Little Shop of Horrors and Westside Story. We will also be looking to the future with new faces taking to the stage and maybe a sneaky peek at the next production, High School Musical. I am sure at some point there will be a Greatest Showman medley. Tickets are £2 per person or buy 4 tickets and get two free. They will be available on the door which will open at 5.45pm on Monday 16th July.